One way to get rid of problem animals is to trap them yourself. This can be done with several types of animals. 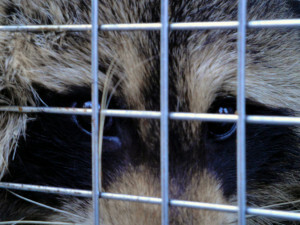 Some widely available traps are made to trap animals, and then they can be released in a different location. One such brand of trap is the Havahart trap. There are different varieties of Havahart traps that are made to trap different types of animals. Each type of trap is a different size, and it comes with different features geared at different species. You can easily purchase Havahart traps in a variety of different stores. In addition, you can buy them online right from Havahart.com. If you have a problem with armadillos, there are Havahart traps that are geared to trap them. Armadillo traps are the perfect size to fit a live armadillo. In addition, these traps are available with one door or two doors. There are also armadillo traps that have an easy set feature. Squirrel traps are also available from Havahart. These traps are significantly smaller, and they are designed to fit the relatively small body of a squirrel. There are also squirrel traps from Havahart that have the easy set feature. You can even get Havahart traps for very small animals, such as voles and mice. These traps catch the rodent, and then you can take them somewhere and release them. Even these types of pests actually play an important role in the ecosystem, and it is a good idea to seriously consider relocating them with a Havahart trap rather than killing them. In addition to these traps for these common types of pests, Havahart has traps that are specifically designed for a wide array of species. 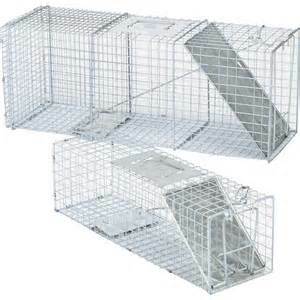 In fact, you can get Havahart traps for anything from voles to bobcats. Havahart actually has traps that are specifically designed for 20 different types of animals. Even animals that are not traditionally thought of as pests can be caught in Havahart traps. Things like foxes and bobcats can also be removed from an area using catch and release. It is not unusual to need these types of traps. These types of wild animals can sometimes pose problems when they enter a person’s yard. They can root through garbage or pose a threat to pets. In addition to Havahart traps, there are other catch and release traps that are on the market. These traps also allow you to catch an animal and release them. Some of these brands are available on the internet too. Advantek is one example of another company that makes catch and release traps. This company also has traps that are designed for different types of animals. They also sell their traps on their website. Pet Trex is another company that makes traps designed for wildlife. Their traps are sold in various stores, but they are also available online.